Auto Insurance: How Much Should You Have? If you’re riding in an automobile that is involved in a wreck, can you sue the driver of the car in which you’re riding for damages? Let’s just say, you’re riding to the mall with your next door neighbor. You haven’t paid them for gas, or done anything else to benefit the driver; you’re friends, and it’s a pleasurable outing. 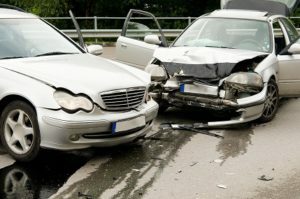 In this case, if there’s an accident, you may not make a claim against the driver – even if you are injured. In order to make such a claim against a driver, you need to prove that he or she was reckless or careless in some way. Typically, this involves drinking and driving, or excessive speeding. It may not sound fair, but in a few states, Alabama included, it is the law. A similar case is one in which a woman was driving with some friends in her car. The neighbor’s dog ran out into the street in front of her and she swerved to miss the dog. In doing so she hit a utility pole. One of her friends was injured, and the woman wanted to file a claim to cover her friend’s medical bills. Her insurance company told her that she could not file a claim. Another thing you should be aware of is uninsured and under-insured motorist coverage. Both types are there to protect you from drivers who are not insured, or who don’t have enough insurance. It is very important to know that when an insurance agent offers you coverage, they must provide you with uninsured/under-insured coverage, unless you specifically waive it. You must sign a waiver to release your rights for this coverage. The waiver must be in place for every driver on the policy.